CRC Press is pleased to announce that three of our titles have been listed in the “77 Best Health Informatics Books of All Time” by BookAuthority. BookAuthority curates the books recommended by the world’s most successful CEOs, business leaders and experts. This essential text provides a readable yet sophisticated overview of the basic concepts of information technologies as they apply in healthcare. Spanning areas as diverse as the electronic medical record, searching, protocols, and communications as well as the Internet, Enrico Coiera has succeeded in making this vast and complex area accessible and understandable to the non-specialist, while providing everything that students of medical informatics need to know to accompany their course. 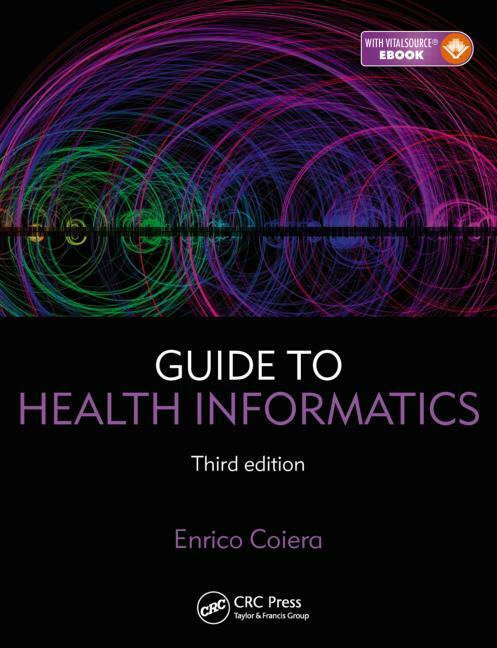 Fully revised, the third edition of Guide to Health Informatics remains essential reading for all health science undergraduates, clinical health professionals, and health service managers who need to appreciate and understand the role of informatics and its associated technologies for optimal practice and service delivery. Medical informatics lies at the intersection of computer science and medicine and understanding critical aspects of both fields provides for more proficient practitioners. 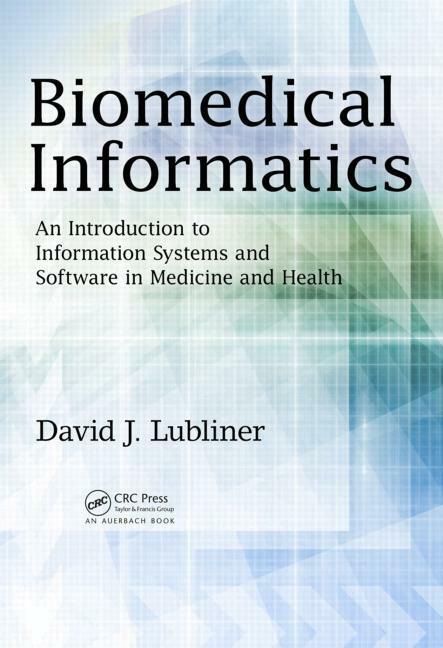 Biomedical Informatics: An Introduction to Information Systems and Software in Medicine and Health supplies a cohesive narrative of the multidisciplinary concepts linking the field. 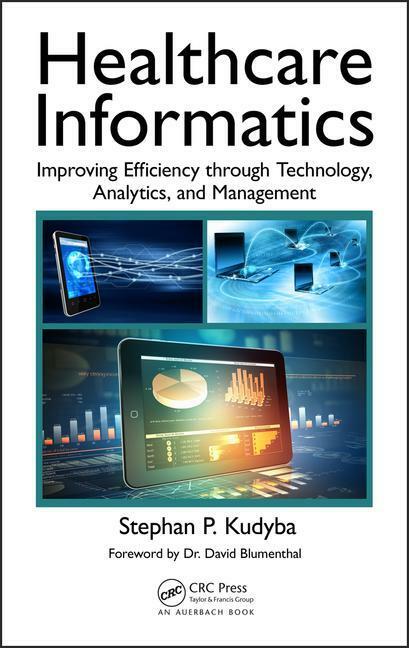 This complete medical informatics textbook begins by reviewing the IT aspects of informatics, including systems architecture, electronic health records, interoperability, privacy and security, cloud computing, mobile healthcare, imaging, data capture, and design issues. Next, the text provides case studies that demonstrate the roll out of electronic health records (EHRs) in hospitals. The third section incorporates four anatomy and physiology lectures that focus on the physiological basis behind data captured in EHRs. Examples include detailed descriptions of the heart and electrical systems, lungs and alveoli, and oxygen exchange. The book includes a primer on the theoretical concepts that underpin the science behind medical informatics, including an Anatomy & Physiology Essentials guide. It also contains a tutorial on application development to help students understand the tools for improving user interfaces for EHRs on mobile platforms. The author uses a student-friendly organizational structure that supplies students with a clear demarcation between essential and optional material. The text supplies clear delineation between Level I, concepts every biomedical informatics professional needs to master; Level II, applied concepts and examples; and Level III, advanced topics. This format allows undergraduate and graduate instructors and professionals in the field to focus quickly on the essential topics, and if interested, delve into Level III advanced topics. The book includes links to documents and standards sources so students can explore each idea described in more detail. Instructor’s manual, solutions manual, videos, figure slides, and lecture slides are available upon qualified course adoption.